MDTA will be holding an industry forum this spring to provide information and bid requirements to interested design build teams for the Harry W. Nice Memorial Bridge replacement. 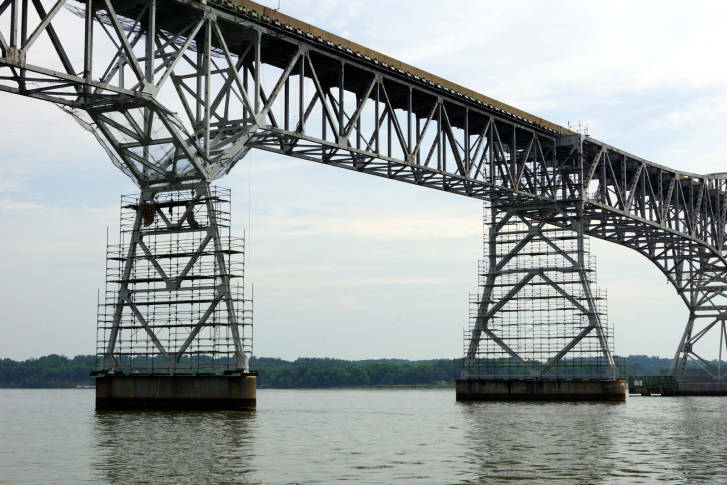 WASHINGTON — The Maryland Transportation Authority has announced that it will be holding an industry forum this spring to provide information and bid requirements to interested design build teams for the Harry W. Nice Memorial Bridge replacement. The New Nice Bridge digital presentation was launched Thursday to provide new information about the project. MDTA said the goal of the presentation is to give area residents a summary of the project, the project schedule and what people can expect during construction as well as after the new bridge opens. Maryland Gov. Larry Hogan announced in November 2016 that $765 million in funding would be dedicated to a replacement for the aging structure. The tall, narrow, two-lane bridge that’s often likened to a roller coaster is a 77-year-old bottleneck to traffic using U.S. 301 to travel between Charles County, Maryland and King George County, Virginia. Construction on the new bridge is expected to begin early in 2020 and conclude with the new bridge opening to traffic in 2023. The new bridge will be built alongside and to the north of the existing bridge, which will remain open to traffic throughout construction. “There will be very minimal traffic impacts,” Maryland Transportation Authority spokesman John Sales said. Any disruptions will occur during off peak hours or overnights to accommodate things such as delivery or movement of heavy equipment. The replacement bridge will be four lanes wide and will have no toll booths. Tolls will be collected electronically with video license plate readers and E-ZPass transponders. There will also be a path for non-vehicles of some sort. Depending on what company’s design and bid is awarded, the contract there will be either a dedicated path for pedestrians and cyclists, or just cyclists. “Regardless, whether we have the barrier-separated bike path or we have bicyclists sharing the right lane with motorists, we will have bicycle access,” Sales said. The comment period to share thoughts on plans for the new bridge is open through Feb. 20, 2018. The old bridge will be demolished when the new bridge opens. Editor’s note: This story has been updated to reflect new information.